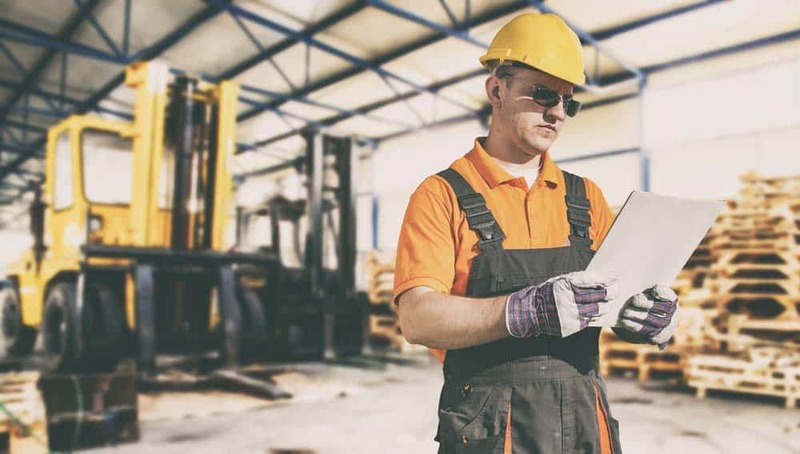 Wearing a safety shoe is extremely vital when you are in the workplace. Note that around twenty-five percent of the total number of disability claims in the world are caused by foot injuries. That said, safety shoes, such as the steel toe boots, really contribute a lot in helping you perform better at work while keeping you safe. The problem with foot injuries is that these do not only cause frustration from employees. These can also lead to lost income, especially due to absences caused by the injury, as well as hospital and medication bills. 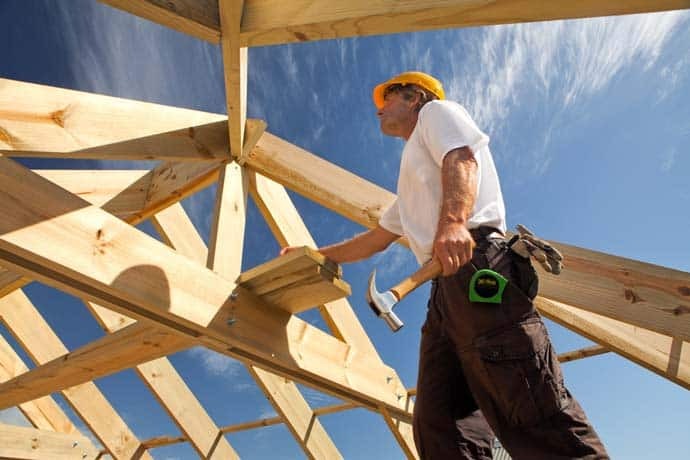 A lot of workers, though, assume that foot injuries are caused by staying in a dangerous work environment. While that’s actually true, take note that you can still prevent the dangers and injuries caused by being in a hazardous work environment if you have the right protective footwear. Let us discuss one of the most effective protective footwear that you can use in the workplace – the steel toe boots. So What Exactly are Steel Toe Boots? A steel toe boot is also called a steel-capped safety shoe or boot. It refers to durable shoes or boots with a protective reinforcement found in the toe. Such reinforcement works in protecting your feet from compression and falling objects. In most cases, the toe cap also features a midsole plate designed to protect you from punctures. Traditionally, this type of footwear is made of steel. It plays a vital role, especially in industrial settings and the construction industry. In fact, it is a requirement for insurance and occupational safety to use the boot in certain settings. Also, most of these boots come with markings on the label indicating international or national standards they intend to meet. Such label also indicates the level and kind of protection the shoes offer, particularly when it comes to dealing with impact, chemical hazards, electric shocks, and penetration. The good thing about this type of footwear is that it is available in various styles. You can even find clog and sneaker versions of the shoes. 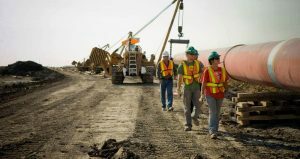 You can also find those that are quite formal, making them suitable for supervising engineers, especially if their job involves visiting sites that require wearing protective shoes. Why Should You Wear Steel Toe Boots? Prevents foot injuries – Among the most common forms of injuries in the workplace are those that involve your feet. It should be noted that such injuries come in various sizes, shapes, and forms – some of which are lacerations, falls, sprains, crushing, and punctures. The steel toe boot is designed in such a way that all the mentioned possible injuries can be prevented, so expect to be able to work with peace of mind knowing that you are safe. In addition, most boots, which features a steel toe cap, are capable of withstanding falling pressure of up to 75 pounds. This could be from dropped objects coming from a max of 3 yards. With that, you have some sort of a guarantee that you are safe no matter how hazardous your work environment is. Ideal for those with foot conditions – Are you suffering from certain foot conditions? Then the steel toe boot is a good option for you as it is designed for those who have a variety of foot conditions. In fact, you can expect it to work well if you have bunions since it features a generously roomy toe box. It should be noted that those who have bunions can greatly benefit from shoes with a wide toe box. It is because it promotes lesser friction on your bones. Aside from bunions, the shoe is also perfect for those who have plantar fasciitis. It is due to the fact that the boot does not flex too much. It is durable, solid, and rigid, thereby helping reduce foot pain and discomfort caused by the somewhat painful condition. 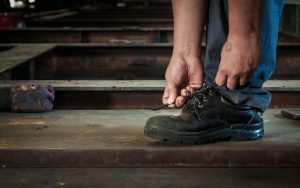 Fights fatigue – Most steel toe boots are also designed to fight fatigue, making it really useful for those who need to work continuously for several hours a day or stand on their feet the entire day. Note that muscle fatigue, especially in your feet will wear you down at work. That’s possible if you wear the wrong footwear. It happens when your body is fully exhausted, especially in areas like your legs, back, and feet. The problem might be caused by insufficient support coming from the interior part of your footwear. The worst part about this is that it can negatively affect your productivity. You will be at risk of getting stressed and facing physical pain and discomfort. A high-quality steel toe boot is designed to help you avoid such problem as much as possible. It is designed to be comfortable while also having excellent arch support. It has a roomy toe box, good cushioning, and heel padding, thereby preventing fatigue. Work in style – What is good about steel toe shoes is that it also lets you work in style. It is not only designed to keep you safe and comfortable. It also lets you perform your job without sacrificing style. In fact, you can find shoes that have rough, gothic, or rugged styles being incorporated with heavy-duty steel toe caps. With the help of a steel toe boot, you can work safely without sacrificing your own comfort and style as well as your budget. With proper research, you can find a protective steel toe boot at a reasonable price. The good news is that aside from the ones mentioned above, it is also designed to prevent crushing injuries, such as toe loss and broken bones, electric shocks, and fractures and sprains often caused by accidental trips and falls. Expect the footwear to have more than enough padding around your ankle area to prevent such injuries. 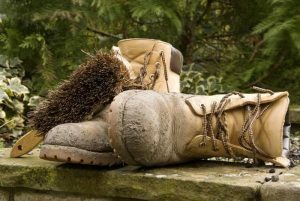 Are Steel Toe Boots Bad for your Feet?